Speculation of a third Star Wars Battlefront game has been ongoing. 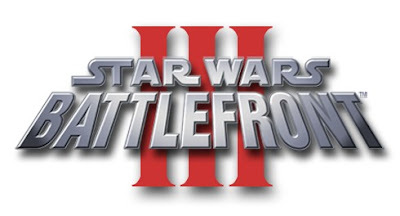 Rumors circulated that Spark Unlimited was developing Battlefront 3 at the same time as it was rumored to be working on a Resident Evil title. Yet, all gamers had to go on were a couple of tweets suggesting the company “couldn’t say either way” what it was working on. That’s all changed in the last couple of days thanks to fresh evidence hinting that Spark Unlimited is indeed working on the game in the form of a job application posted on its website (see below). The developers are looking for someone to work on a “3rd Person Action/Adventure sequel in a high-profile science fiction franchise” who has a “strong sense of story and narrative techniques as they pertain to the gaming medium.” Sounds a bit like Star Wars, doesn’t it? Other evidence comes in the form of two LinkedIn profiles, the first for John Lawrie (see his profile below), who states his work for Spark Unlimited includes an “Unannounced third person sword fighting game (well known IP, Xbox 360, PS3).” The other is Cesareo Gutierezz, whose profile describes how he has “been working for three years in a AAA third person shooter using Unreal Engine and Kynapse AI middleware.” Both their profiles, coupled with the timing of the application, seem to strongly suggest that Battlefront 3 — technically the sixth installment of the game’s series including the PSP and DS games — could very well be coming to our galaxy soon. Is EA CFO Eric Brown Jumping the TORtanic?